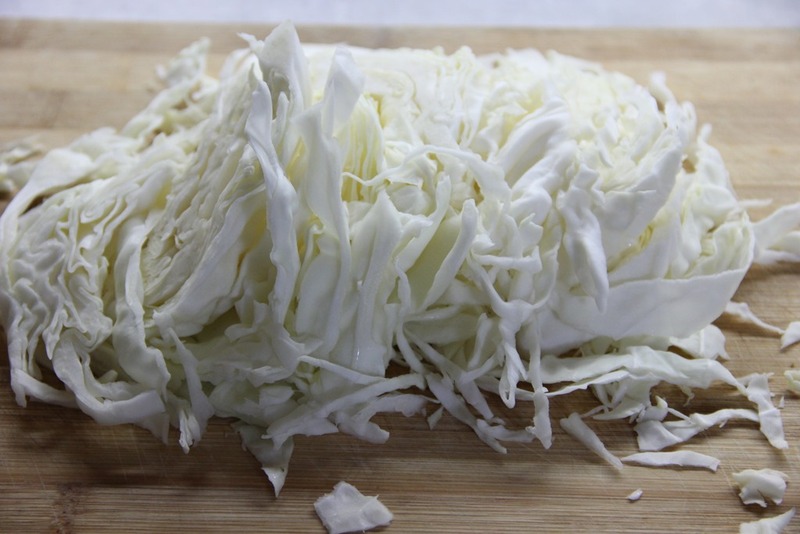 I bought a massive cabbage last week and have been trying to find new ways to use it, as it doesn’t seem to ever finish. 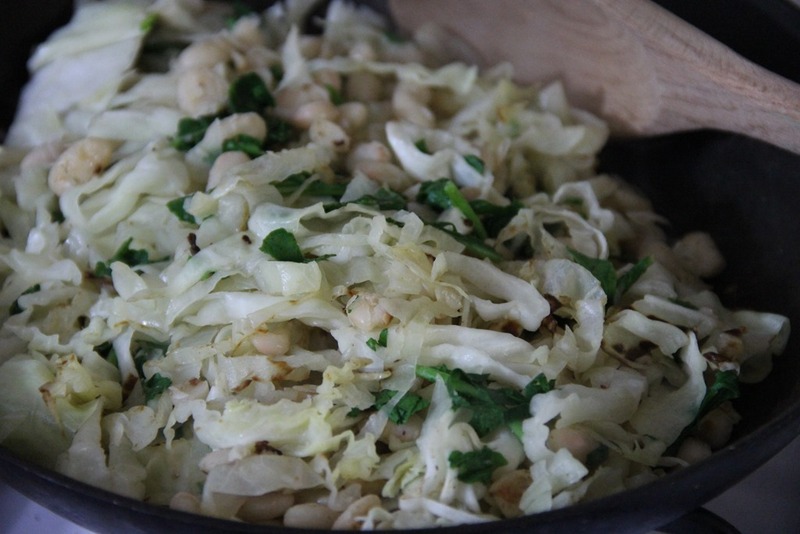 I’ve been sneaking it into my daily green juice as well as sautéing it with different vegetables every night. Most recently, I paired it with white beans and parsley for a simple, yet filling side dish. Enjoy! 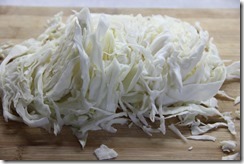 Cut cabbage into shred-like pieces. 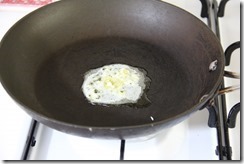 In a large saucepan over medium-high heat melt the butter. 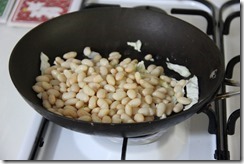 Add the garlic, beans, salt, and pepper. 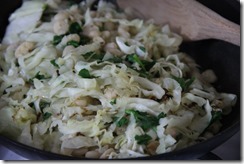 Stir for 30 seconds then add the cabbage. Put a lid on the pan and reduce heat to medium. 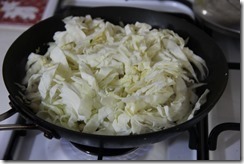 Every minute or two, open the lid and fold the mixture. Continue to do this until the cabbage softens and begins to brown. 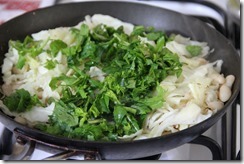 When it reaches that point, add the chopped parsley and stir until evenly distributed. 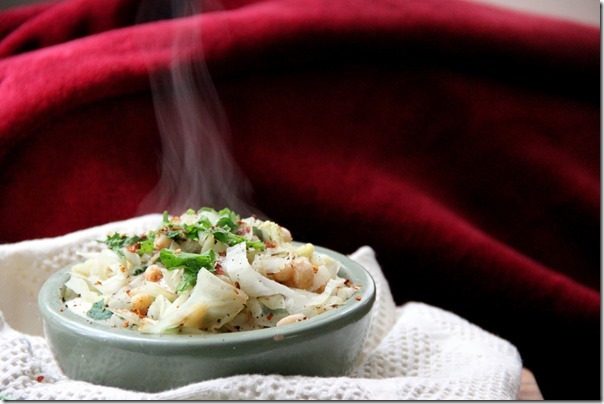 Serve with crushed red pepper flakes as a garnish. Enjoy! 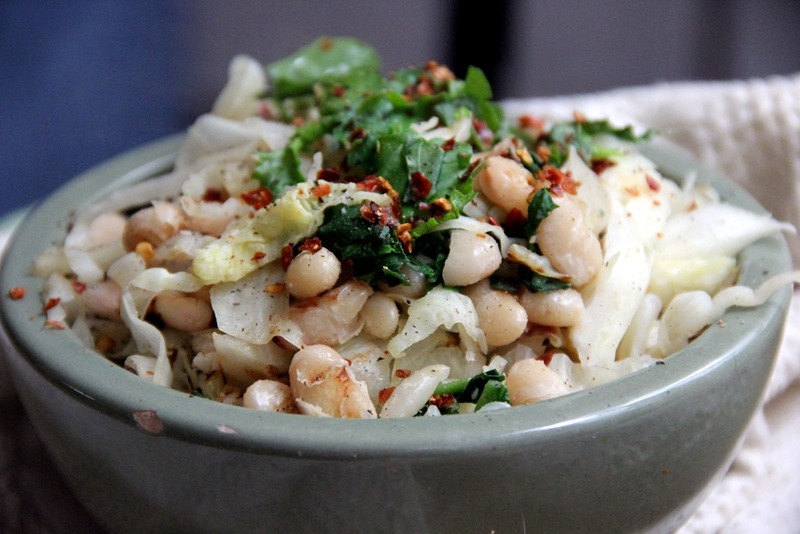 This entry was tagged butter, cabbage, oil, parsley, side dish, vegan vegetarian, white beans. Bookmark the permalink. 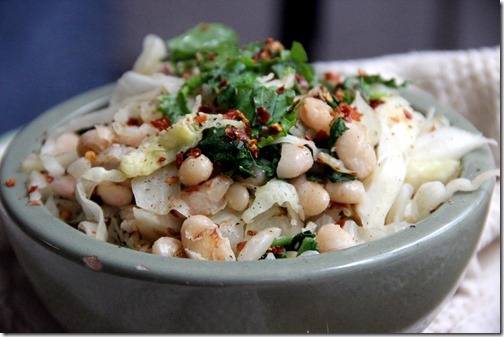 This sounds like the perfect simple meal – se easy to put together with thing I already have in the kitchen. 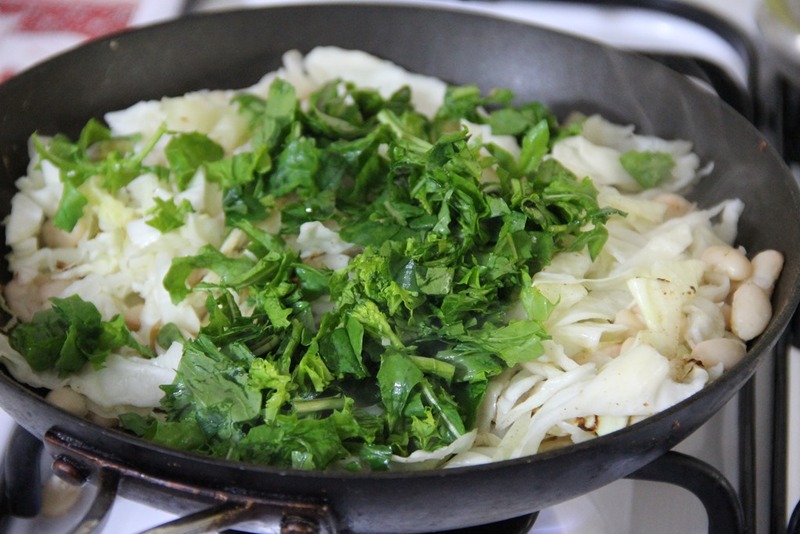 I love how bright parsley makes everything taste. 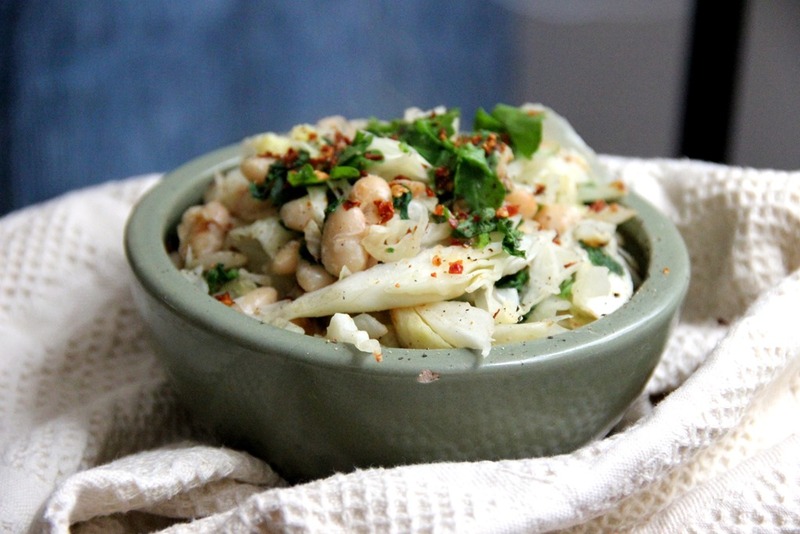 This dish is a winner for sure! I’ll say….This recipe inspired my dinner tonight and was excellent. Since I started out cooking Chicken Breasts, I amended the recipe a bit to incorporate chicken.So, I started with Italian Seasoned Chicken Breasts cooked in olive oil with a dash of anchovy paste. 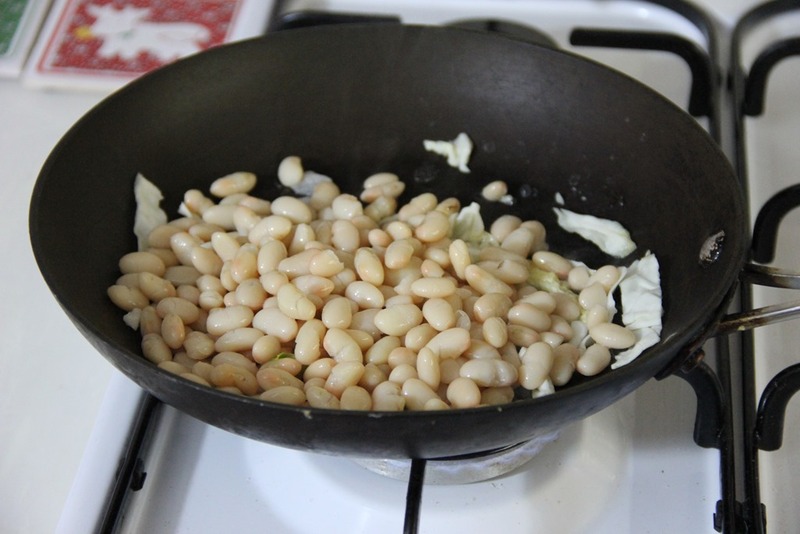 Once browned, I cubed one breast, left the tasty oils, threw in slivered garlic, butter, cabbage and beans.